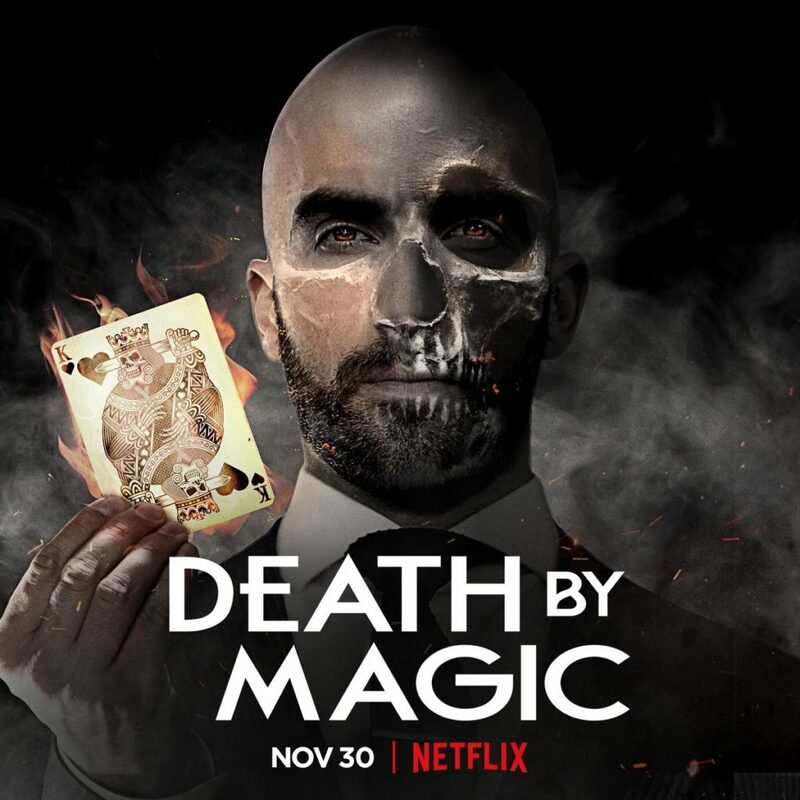 VERY EXCITINGLY my bro’s Netflix series, Death By Magic, is out on November 30 and the trailer has just been released. Watch the trailer and you’ll see what it’s about. The word ‘death’ in the title is a little clue. There have been multiple moments during filming in the past year or so when Drum would send clips on the family WhatsApp group. Once, coming back from a wedding sliiiiiiiightly pissed, it was a 30-second video of him being set on fire and I burst into tears in the taxi. Drama queen. But have never been prouder of him or more admiring of how single-minded and focussed he’s been on making this show. When he was little, he used to spend his birthday and Christmas money on magic sets in toy shops – plastic cups, sponge balls, and there was an alarming finger guillotine at one stage, which he tried out with cigarettes, before my step-mother bravely offered to be his first human volunteer. Learning to type again without a right index finger was a bore for her, but she’s managed very well along the years, all things considered.